Mission | His Little Ones, Inc.
December 1989 marked a turning point for Romania. Communist Dictator Nicolae Ceausescu had been dethroned and removed from the palace he had built for himself (ironically called the House of People). The promise of freedom filled the air, but the legacy of the former dictator’s twisted vision for the Romanian people left behind a country riddled with challenges. The legacy of the former dictator’s twisted vision for the Romanian people left behind a country riddled with challenges. Ceausescu wanted to build a populous Romanian nation of workers, farmers, and soldiers. In an effort to fulfill this passion, mothers with five or more children were praised and declared both heroic and patriotic. A rapidly growing population in a country with a centralized and collapsing communist economy was unsustainable. Parents were unable to provide for their own children who instead ended up in streets. These children had children of their own, and the vicious cycle began—one generation of orphans giving way to another. HLO’s mission is to provide for the spiritual, emotional, physical, and educational needs of these precious children. In 2001 an idea was birthed among a group of friends at Abilene Christian University. Led by Dr. Andrei Duta, His Little Ones was created with a vision for a brighter tomorrow for the children in Romania. HLO’s mission is to provide for the spiritual, emotional, physical, and educational needs of these precious children. HLO seeks to improve the quality of the day-to-day life in three orphanages in Bucharest. Progress has been steady. Today the hallways of these orphanages are not as full as they once were. Love is being shown; the Gospel is spoken and lived out. These emotionally wounded, motherless and fatherless children need hope. Today the former dictator’s legacy is quickly fading. The last two decades have brought much healing. However, many emotionally wounded, motherless, and fatherless children still need hope; a new hope that only Jesus can provide. These children, under the banner of His Little Ones, are the heartbeat of our mission. The team that runs His Little Ones is passionate about one thing and one thing only: Glorifying God through supporting orphaned and abandoned children in Bucharest, Romania. We realize you may wonder about what we do, why we do it, and how we get it done. Here you can find answers to a few of the more common questions we get about our ministry. If you have additional questions, please contact us through the website. We are thankful that you are exploring and considering our work. We’ve been around since 2001. His Little Ones is a nonprofit organization formed exclusively for charitable and educational purposes within the meaning of Section 501(c)(3) of the Internal Revenue Code. 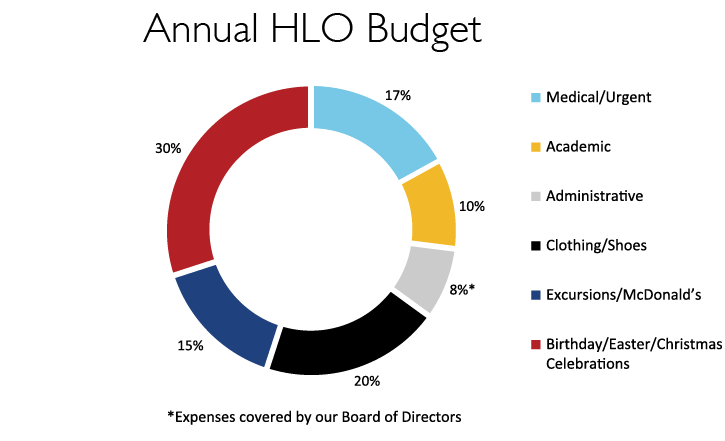 Are donations to HLO tax deductible? While we realize that there are orphans in other corners of the world, we personally believe that we have been given the task of reaching out specifically to the children in Romania. We applaud the work that other organizations lead to help orphans in other countries. As far as our collective mission and calling, however, we pray that we continue to make a significant impact in Romania with the resources that we have been given. There are many children in Bucharest and an equal number of opportunities to make a positive difference. Most of our board members wear two hats: governing and executive, all as volunteers. The main function of our board is to evaluate, sharpen, and execute on the mission, plans, and purposes of our organization. We have essential Romanian ambassadors on the ground in Bucharest who carry out our mission. When possible our board members also join the short-term mission trips to Romania and serve the children directly. Where in Romania does your ministry focus? 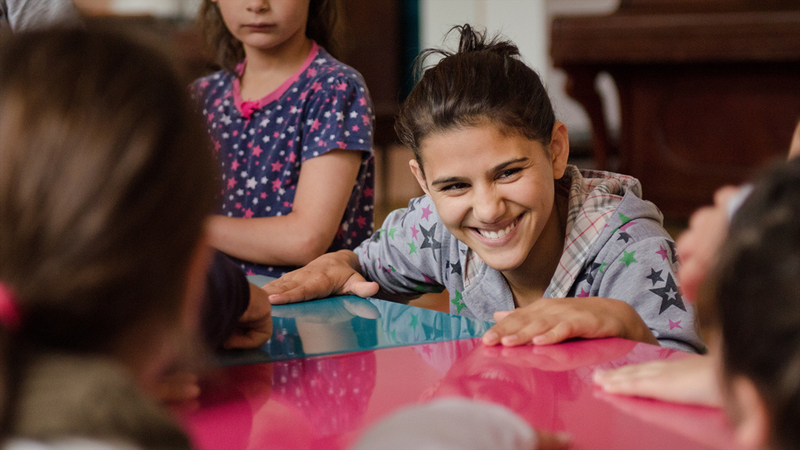 Currently, we partner with three orphanages in Bucharest, Romania: a baby orphanage for children up to 3 years old, an all-girls orphanage for 3-18 year olds, and a co-ed orphanage that accepts many of the abandoned children from ages 3-18. You can donate online or you can send checks payable to His Little Ones to: His Little Ones, Inc. Fill out our contact form and we will inform you of future opportunities. How do I visit Romania with HLO? We take short-term trips to Romania at least once a year. Contact us if you’re interested and we will let you know when our next trip is scheduled! What does the money I give to HLO cover? Refer to the chart below for further information. Here is a general breakdown: Programs (including excursions, tutoring, and celebrations) 55%, Basic needs (clothing, medical) 37%, and Administrative (covered by our Board) 8%.